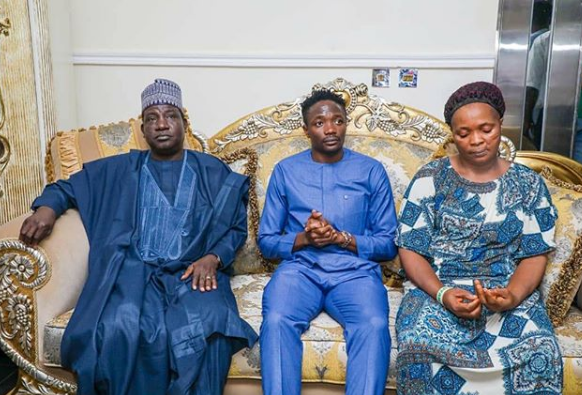 Footballer Ahmed Musa who lost his mother, Mrs Sarah Musa few days ago has shared an appreciation note to everyone for their love, thoughts and prayers shortly after her death was announced. ''On behalf of my entire family, I just want to say a big thank you to everyone for your love, thoughts and prayers during this hard time. The passing of my mum albeit unexpected, your comforting words, calls, texts, visits have been a great help to my family and I. Thank you so much once again because I do not take it for granted.🙏🙏🙏'', he wrote. Poor dude, nothing like a mother's love!